In just a few short years Tara Rush has guided her brewer employer to a number of firsts and important corporate moments, including the last GivingTuesday, when it became the first beer company to join The Recycling Partnership, a curbside effort to improve consumers’ and municipalities’ recycling. An increase in year-over-year stakeholder confidence and improved opinion of the U.S. entity earned her kudos, too. Rush has also led the charge on transforming the corporate relations operation within the organization, integrating a department that was removed from the business. She has elevated the profession, but more importantly, by embedding a fully integrated team across functions from marketing to HR, sales to business intelligence, has shown that communications can have an impact, build relationships, and identify opportunities. Described as a "dynamic and collaborative leader," Rush is relied upon by company leadership. 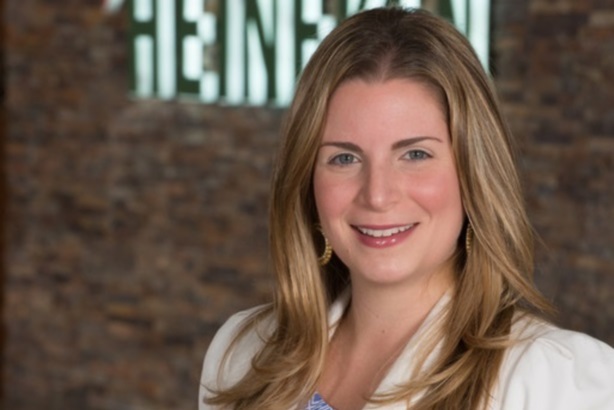 Her contagious energy motivates those around her as she’s always finding unexpected ways to elevate the profile of Heineken USA brands among stakeholders, from employees to national leaders. Rush honed her leadership skills and consumer marketing know-how as SVP of consumer marketing and social relevance at Emanate PR, where she opened the Los Angeles office, served on the leadership team, and executed programs for top clients such as Verizon, Nissan, MLB, and Hilton Hotels. Before that, she led brand PR at Mars, including day-to-day reputation management and PR programming for household names like Pedigree and Uncle Ben’s. She drove a number of CSR campaigns during her tenure including Pedigree’s national adoption drive and Uncle Ben’s educational initiative "foods with a purpose." - Her corporate relations team is recognized as one of the most high-performing teams in the organization. - She sits on the Ad Council’s board of directors as well as on the Business Council of Westchester’s board, which is in the largest and most influential business organization in Heineken’s HQ county. - Her first several years in PR were spent at PR agencies: Weber Shandwick, Edelman, and Ketchum.